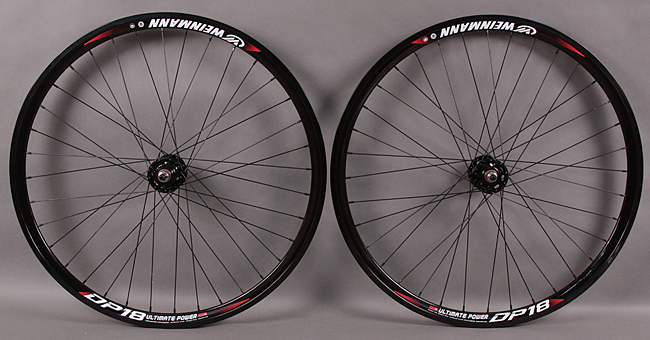 So i see fix gear bikes on cl and ebay well under 300 with what looks like aero wheels . why do they have them ? Would they be good on road bikes . are they crap , or just for looks . the last thing i need to get is aero wheels under 500 usd i dont want tubular so i wonder if they would be an option..??? Last edited by Teamprovicycle; 03-25-18 at 09:01 PM. Fashion. Beginning and end of story. Also the middle of the story. A big part of fixed-gear "culture" has been the re-purposing of track bikes for urban riding. Pursuit bars and deep-section wheels were an enhancement that came along in the 1980s or so, and those also became desirable for urban fixed riders. Now these pretenses have trickled down to the cheapest bikes you can find. 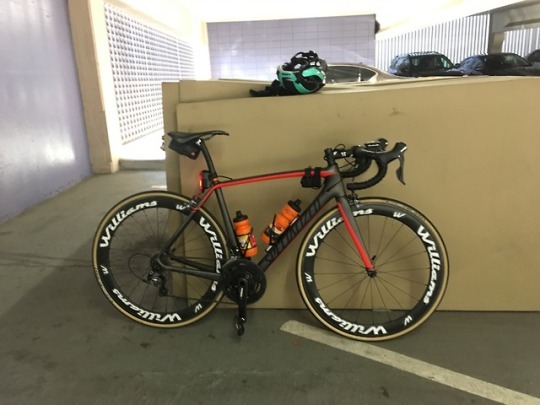 Get aero wheels if you desire, but they are obviously not necessary. They make your bike faster and cooler. Especially the ones that are neon colored. They're to emulate the wheels you'd see on the velodrome, but some of the deep section fixed gear wheels I've seen are so incredibly heavy that no track racer would ever use them. You could make an argument that it's possible to build up a super-bombproof wheel using 32 or 36 spoke Deep-V or CXP-33 rims that are strong enough for potholes and curb-hopping. But most of the "aero" wheels I've seen on low level FG bikes are purely for aesthetics. The faster your wheels are, the faster you have to pedal to keep up. They are not light, but they are indestructible and inexpensive. I have a pair that I raced SSCX for several seasons on, rode fire trails, commuted on. Now my son commutes to school on these. The have never needed truing. You never put baseball cards in your spokes to emulate an engine? Deep section fixie wheels are no different. They are just fun, that's all. And it isn't like all those roadies on deep wheels get such a benefit either. $2300 Boyd's and skin tight climber's jerseys to go 14.6 MPH average and get 48th on a KOM. Nay. Especially the jacket cover! THey want to be different from their parents. They are building their own niche. Every generation has its thing. In the 70s, it was road cycling. 80s, it was bmx. 90s, it was mtb. 00s, it's Fixie. No coasting, 1 gear? Good for road? Not for me. I thought the deep dish (not aero) wheel on the city fixie style bike was about wheel strength. a taller rim is harder to bend flat when jumping it off curbs. Someone else up top posted about riding fixed compared to geared. I train fixed on the road with 88mm deep rims with a 54x16/14 gearing and it is quite fine. I have ridden numerous hilly Centuries and a 200k Brevet on that bike. Don't mind fixed. It only makes you a stronger/faster rider. Ride whatever you enjoy. Last edited by fixedweasel; 03-27-18 at 01:35 PM. Pretty sure the OP was referring to Aerospoke wheels or similar. Before that company went south they were offering wheels any color you could imagine. And then some. The sight that never fails to make me laugh - guys nursing their snazzy fix gears down Portland's hills. No brakes of course. Gotta keep those painted rims immaculate. I think I misread the OP. He was asking whether or not "fixie wheels" would be good on a road bike. If you're talking about a Tarmac SL2, which is in the OP's profile, then no. Your Tarmac's rear hub is 130mm; most FG rear wheels are 120mm. And you can't fit a modern cassette on a FG hub. If the question is whether deep section wheels are good for road bikes such as a Tarmac, then yes they are, as well answered by fixedweasel. These Williams 58s are my race wheels, but after a weekend of racing I left them on for the Monday morning commute. Last edited by Teamprovicycle; 03-27-18 at 09:20 PM. I'm pretty sure with the right tire, the Deep Vs found on cheap fixies and mtbs will still have the aerodynamic nature of more expensive ones. I don't think they're all that heavy and most of them are double wall. Is it really a big deal if they're for looks? My only thing with them is they look cheap when they have those high flange hubs. It's a style thing, like running an aerospoke wheel or wheelchair wheel. I like the look of running one on the front, when I can get one, it makes the front of the bike offset the rear, since the front to me looks plain compared to how "busy" the rear is.